Located just minutes away from Buckhead, Rain Thai and Sushi bar is a hidden treasure restaurant that offers both Thai and Sushi menus. Whether you come for lunch, dinner, birthday party, graduation or a romantic date, we’re here to serve our guests with finest food in our relaxing dining space. Thai food is famous from its hot and spicy flavors. At Rain, we not only prepare your food from scratch, we also give our guests flexibility to adjust the spiciness of their dishes. So, come on in, and let our friendly staff serve you the best Thai food in Atlanta. We believe good food has to be freshly prepared and served hot. 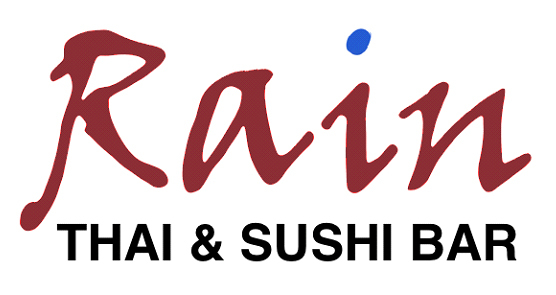 Rain offers you a complete Japanese menu ranging from Tempura to Sushi to Sashimi. Come try our chef’s creative rolls that prepared from freshest ingredients! $5 off purchase of $40 or more.